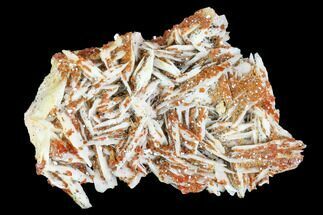 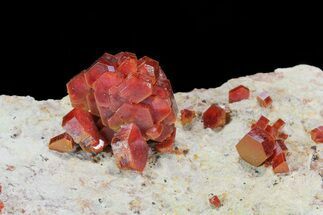 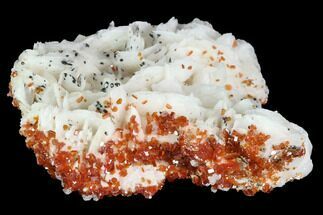 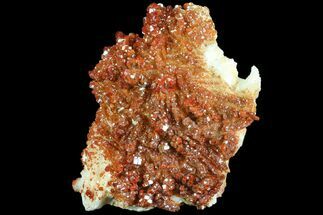 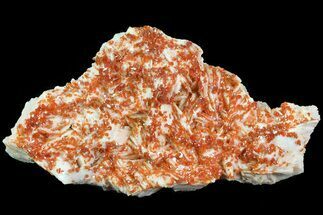 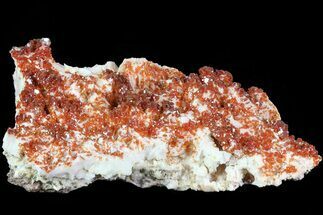 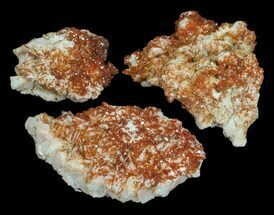 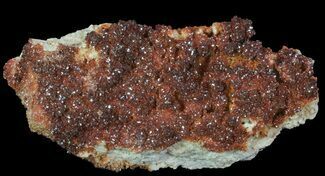 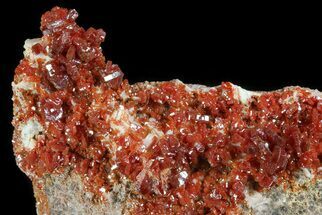 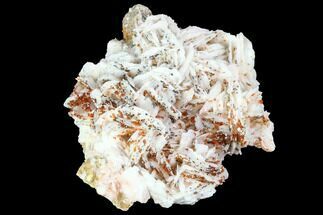 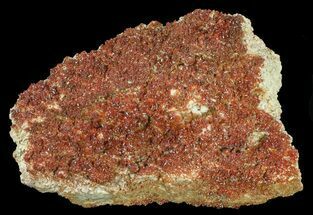 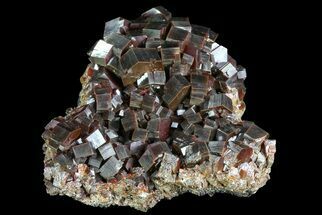 Vanadinite, a lead based mineral forms very striking, bright-red to orange crystals. 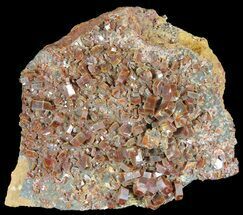 It occurs in well-formed, prismatic and stubby hexagonal crystals. 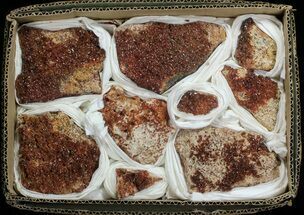 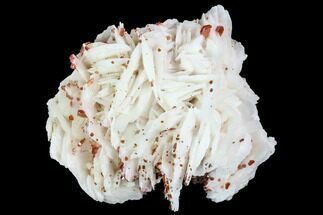 5.25" Red Vanadinite Crystal Cluster - BIG CRYSTALS!